This year the Wodonga Show Society has asked all Primary Schools in Wodonga and surrounding areas to take part in their School Mural Competition. 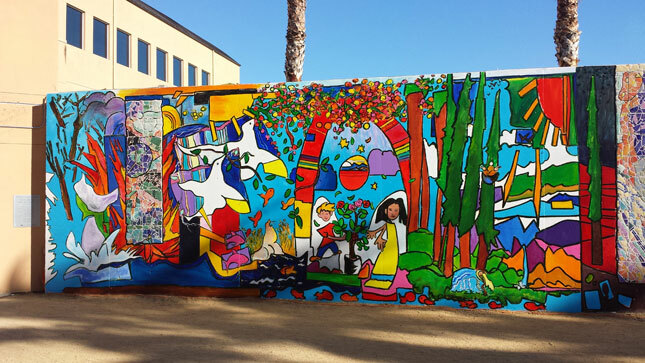 Come on kids, lets get creative for your school to win a $500 prize for the best Mural. Be part of the school creative team that will put together a Mural for your year group and let the Wodonga community see what wonderful artwork you can put together. Attached are the Rules and Regulations which your Teacher will explain to you. Due to the high quality of the School Murals that were delivered to the show, we have have decided that there are three winners. Each School will receive $200 from the Show Society as their prize. Highly commended ribbons put up on the boards. Looking forward to next year’s competition should you wish to participate again.